Policemen, mafia guards, hunters and regular citizens constantly paced the busy streets of York Shin City. It was another active night for construction workers, firemen and medics who were assigned to mop up of the mess from the recent turmoil. 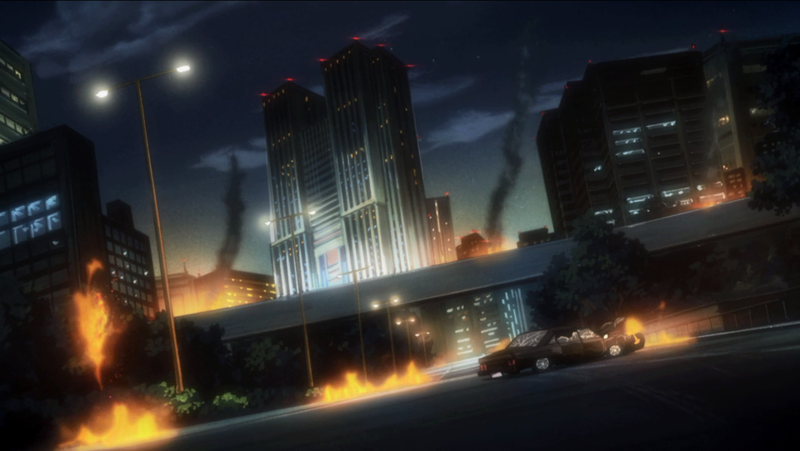 The traffic only grew heavier after the ruckus caused by the Phantom Troupe. The area around Cemetery Building was in a complete mess. Severed heads and dead bodies were scattered. Limousines and police cars were totally wrecked while a few broken street lamps kissed the pavement. It would be impossible to count the holes made by thousands of bullets from their high-caliber guns and automatic assault rifles. Apart from these, the fact that more than a hundred mafia men were sacrificed to eliminate the notorious gang proved their inferiority. Not to mention the billions of Jennies they spent to hire the Zoldyck patriarchs. With all those huge expenses, the underworld heads couldn’t help but shook their heads in disappointment and overwhelming loss. Add up the shock they earned from bidding for something that will only vanish before their own eyes. Twenty four hours after the incident, they also learned that the dead bodies of the Phantom Troupe leaders were fake. Another surprise that stung their ears was the death of the Ten Dons. 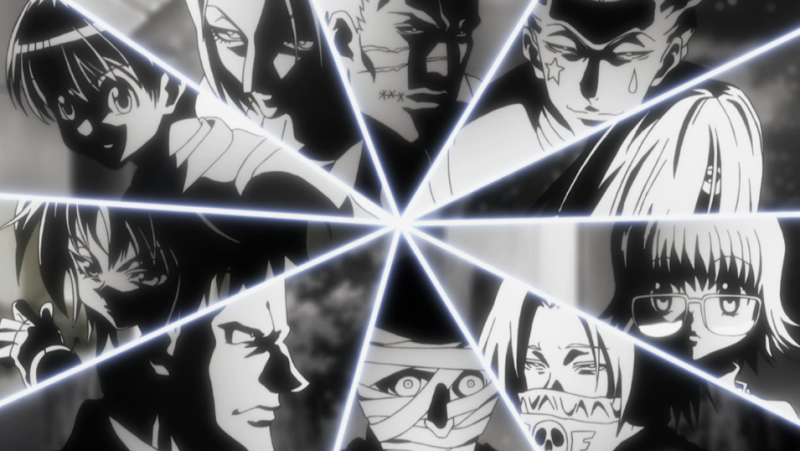 Bringing back the bounty for the heads of the Phantom Troupe members would be pointless and unwise. It was very clear that it is no longer possible to track down the stealthy and deadly group. They also feared of being ridiculed as they were easily tricked. Everything was a huge slap in the face. The pain would remain for as long as no one would take the blame. Seeking for revenge, a fat head mafia boss came up with a cool idea that would benefit him and the rest of the underworld organization. He told the members of the board that he could handle this problem with ease. 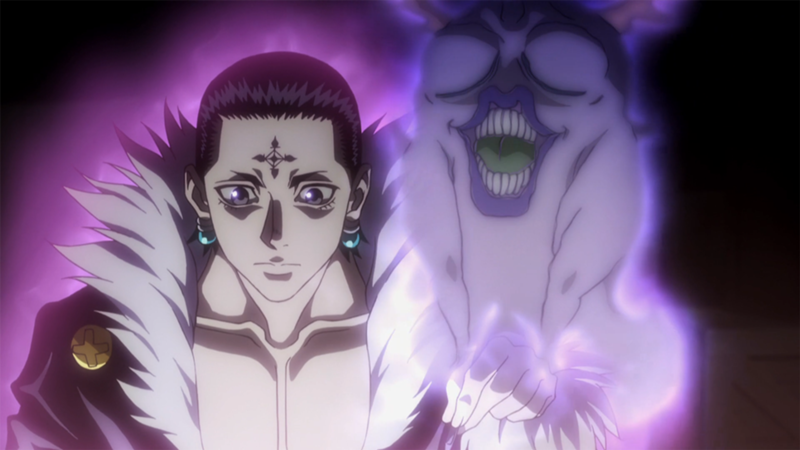 To make sure that everything would be carried out well, he summoned Illumi Zoldyck. Zenji handed a black envelope to the long-haired assassin. Seconds after they agreed with the price, Illumi headed off to his target. 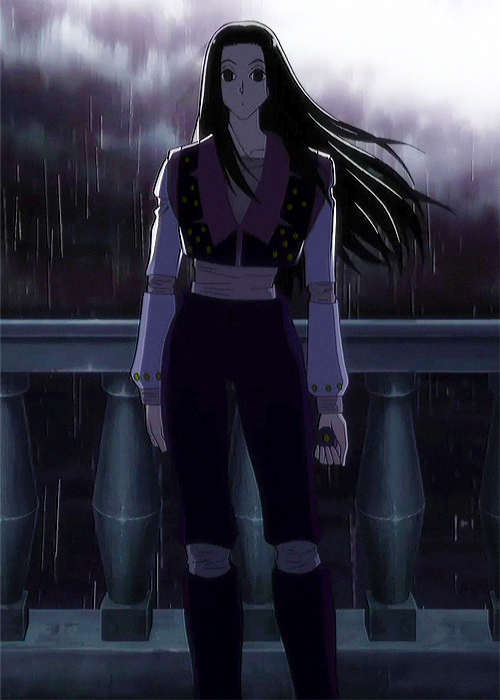 “This won’t be as difficult as killing the Ten Dons,” Illumi thought while heading to the mansion. His target was transferred to a secured location which is too far from the safety that a 5-star hotel could provide. He continued to run fast without getting noticed by the people crossed paths with. When he reached the gate of the property, the poker-faced guy pulled out some pins from his clothes. He jumped off the perimeter wall and quickly scanned everything in the area. He rapidly knew about how many men in black were conducting a tight security. With one swoop, all of the armed guards were taken down with his deadly pricks. He quietly walked to the main door and slowly pushed it forward. 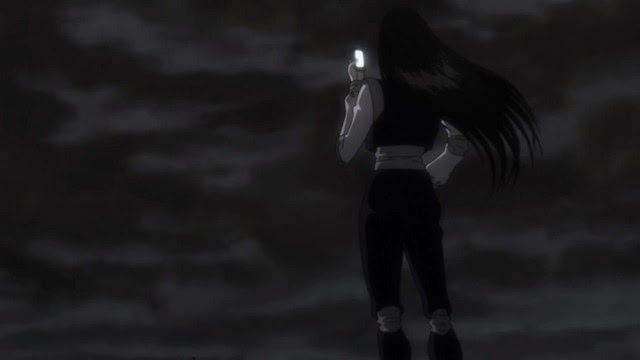 Before the image of the inside stroke his eyes, Illumi caught sight of a metal ball aiming for his forehead. With a little effort, he swiftly leaned backwards to evade the attack where he realized that a series of chains are connecting the ball to its owner. Kurapika, took back his dowsing chain and waved it around. “What are you doing here?” The chain-user asked Killua’s oldest brother. The pictures bore the face of Light and Neon Nostrade. “So?” The clueless Feitan asked. “Kortopi is worried of the mafia men,” Shizuku answered his question. “And then?” Another question came from the short Phantom Troupe member. “Maybe he wanted us to think if there are still some things that we need to do.” Shizuku was tolerant when it comes to answering the questions of her colleagues who couldn’t read between the lines. “Phinks and I will go out to steal a copy of a very expensive game. We can save you the trouble if you want. Just tell us.” Feitan volunteered to accomplish any tasks for the group’s safety until the return of their leader. “What can you say about this Shal?” Shizuku called for the attention of their tactician. “Hmmm...” The blonde young man stopped from playing a card game and focused on the current issue. He looked down with his chin resting above his palms. Shalnark tried to recollect while the members of the gang patiently waited for his words. “We need to clean up a little mess before anything else.” Shalnark finally spoke. “We were very active during the past few days. We need to think if we have done something that could sell us out. But given the fact that the mafia have called off the prizes for our heads, it would be shameful for them to bring it back. 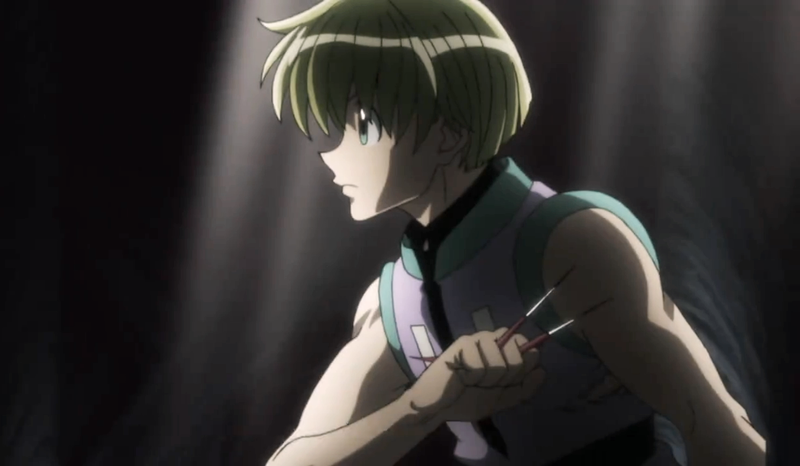 It would only be right to assume that they are looking for someone to blame.” Shalnark gave the first part of his thoughts. “Does it have something to do with us? What kind of mess are we supposed to take care of?” Nobunaga broke his silence. “One of the things that we would want the mafia to be confident about is, we have acquired what we exactly wanted. But while we are roaring around the auction site, danchou must have set his eyes on something very important.” Upon this being said, the Genei Ryodan hideout became silent for a few seconds. It seemed like Shalnark got them all confused. “Something that is very important? Spit it out, will ya?” The daimyo-looking guy could not bear the puzzle that tortures his brain. “If I remember correctly, danchou mentioned a girl in an ambulance.” Shizuku finally caught up with their brainy colleague. “I got a hunch that she is the mafia’s target right now,” Machi expressed her feelings about the issue. “Exactly! The new ability of danchou to predict the future came from that girl. If she died, that skill can no longer be used. We need it for our next plot!” The cheerful young boy exclaimed while giving out a sunny smile. “But how can you say that she is the mafia’s target this time?” The swordsman was still in doubt. “If you recall our previous discussion, we talked about how the girl’s father used her ability in order to gain a good position in the underworld. They might have used the girl’s nen to hint about how they could escape death while that auction site is being attacked by us. Missing out on things like obtaining a fake auction item and losing armies of men would be enough sparks to earn the blame.” Shalnark finalized his deduction. “So what should we do right now?” Feitan hopped back to the conversation. “Ahhhhhhhhhhhhhhhh!” Neon Nostrade can be heard screaming from her room. Eliza and another maid tried to pacify her but they only got hurt. The spoiled brat saw how the scarlet eyes vanished into thin air. She searched under the bed, checked the table and inspected her servants’ clothes but she failed to see the 2.9 billion Jennies worth of wonder. She resumed ranting about it until a blast coming from the outside shook her to maturity. A loud crash and tremble overpowered Neon’s tantrums. She looked at her servants who quickly came and hid her inside the bathroom. 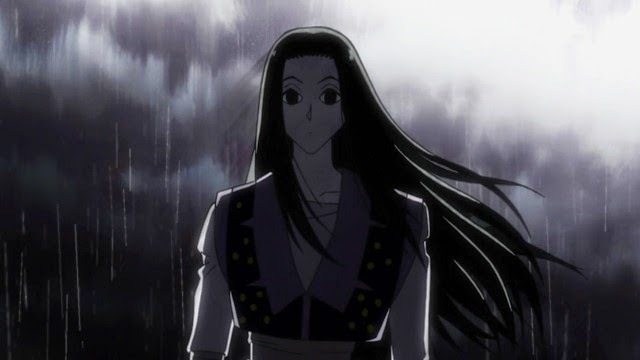 The door opened and summoned Illumi Zoldyck. Eliza was in fear and tried to call for help. She was surprised to see Kurapika knocked down unconscious in Illumi’s background. It seemed like the assassin smashed the Kurta’s body against the mansion walls which caused the recent shudder. She decided to come inside the bathroom with the other servant to make sure they were locked inside together with their childish boss. The assassin slowly walked towards the bathroom door. He pulled out a pin from his clothing and threw it to the doorknob’s direction. In a millisecond, someone jolted in, caught the pin and flung it back to him. Illumi took his pin back and stared at the showstopper. The windows of the mansion were left open which is why the young spider was able to get inside. Shalnark stared back at the assassin and brought out two antennae. Wanting to get the job done as fast as he could, Illumi’s hands quickly grabbed for some pins and hurled it to the Genei Ryodan member.